Born in Sidcup Kent England in 1950,And lived at Rochester Way, Rochester till aged 4 then at Lee near Lee Green in South London. I went to Guybel Road Infants School and then onto Horn Park School. We moved to Hazel Grove Cheshire England in 1958. And into Norbury School. It was here that I joined the local 3rd Hazel Grove Cubs and then Scout group. And then attended Jacksons Lane Secondary Modern School for Boys (Now Hazel Grove High School) when I was eleven. The main interest was in farm work to start with and all plans where set to become a farm manager in machinery and arable crops. I first became interested in Amateur Radio in 1964 as a SWL (Short Wave Listener). Cycling to Matlock to visit Bandit Bills. My first Receiver was £21.00 from Tottenham Court Road London. A Monarch, Gen coverage receiver. But in sixth term at school, with an apprenticeship all ready lined up at a local farm. And day release to Macclesfield Tech. I suddenly took a mind and joined the British Army @ Manchester in1966, as an Infantry soldier in the Grenadier Guards. The recruiting Officer then at Manchester was a W0 I in the Grenadier Guards, who did not like Signals. So Thats how I came to be in the Guards. I went to the IJLB (Infantry Junior Leaders Battalion) at Oswestry in Shropshire as a Junior Guardsman in May 1966. First in Z Company and then onto Guards Company in K platoon. I passed out in March 1968 as a Junior Sgt. IJLB was like a boarding school and the first two terms where educational with hobbies evenings and some military training. Terms where approximately three months long. The 5th, 6th and 7th terms where all military training. I would say the time here completely changed my future outlook on life. And I did things I would never had done if I had not joined. i.e. Kawaking, Rock Climbing, Abseiling and many days walking the Welsh mountains (though a trial at the time, in hind site it was enjoyable). Its a shame today's youth cant go through similar experiences (or does this now show I am getting old, by this statement ?). I joined Queens Company 1st Battalion Grenadier Guards on training at Senibridge South Wales in late March 1968. On the first day the RSM (Regimental Sergeant Major) had all the new arrivals together (fresh from Pirbright Surrey). And his words are still fresh "Some of you are X boys, some fresh from civy street. What ever your back ground you are new here. So Eyes and Ears open Mouth Shut !" Good advice for any new environment I found myself in as the years rolled on. The Regiment where in preparation to be posted as BTS (British Troops Sharjah) in the Persian Gulf. We mobbed out to the Gulf in May 1968. Whilst Serving in Sharjah in 1968, I found the local Radio Club (then Eric by Mike Joyner) here I spent every free moment of my time over the next ten plus months. I obtained the call sign MP4TCR & MP4BHT. And had great fun with Derek G3RKN <SK> & Mike GM8FYJ. I also was lucky (I now realise) to go on adventure Training (as it was called) to Iran. And whilst in Tehran met up with EP2CB Chuck Bowers, a then Colonel in the USAF (now SK I think). Working in the US Embassy. I was invited to visit his house and allowed to use his station. His wife cooked a huge evening meal and we ate looking out at the black mountains. A visit I shall never forget at 19 years of age. On returning to the UK in May 1969 and public duties at Buckingham Palace, St James and the Tower. Amateur Radio thoughts where put away in my mind and the riggers of UK Military life took over. However the yearn to do more with my interest in radio was niggling at me. So with an unexpected suggestion of the 2i/c Queens Company I applied to move to the Royal Signals. In October 1969 (Possible with input from G3EKL Ray Webb <SK> and G3RKN Derek <SK>) I was sent to 11 Signal Regt at Catterick. Where I joined a basic Royal Signals recruit Troop. However though this basic troop had been together some four weeks, I sort of stuck out. Therefore within two days I was sent to the training department of 11 Signal Regt as a weapons instructor (and found a thing called an LMG <converted from .303 to 7.62>, of course in the Guards we had modern things called GPMG's!!). I stayed here with my guards cap badge, whilst my basic troop completed its training. I then moved across the road to 24 Sig Regt (Training) with the rest of the troop to train as a Radio Operator. Again this was new for me, to have more freedom than when in the Guards Regiment. I also had a motor Bike that allowed me to get around. And of course for those who know Catterick, there was the WRAC in training as well. So Wednesday and Saturday nights at the local Camp Centre NAAFI where always of interest. In February 1970 I was posted to 639 Signal Troop (Rear Link) Attached 94 Locating Regt in Celle West Germany. I was still Grenadier Guards Badged, and sort of stuck out (again). As for some reason Royal Signals Records and the Guards Records had not completed the transfer paperwork. But in March 1970 I was presented with my Jimmy Cap badge. And was told to stop using my Guards stable belt!! So started my new life of communications, just about 100% CW rear link duties. Then in 1971 I was posted to Northern Ireland with 50% of 94 Locating Regt. I was in 156 Battery and we where attached to 32 Heavy Regt. I ended up firstly at Crossmaglen, then Bessbrook. Up to Belfast to some ship I forget the name of, and then in the Battery Ops room @ Albert St Mill. At Albert St I became the Battery Commanders personnel Radio Operator. So there was never a dull moment or much sleep for that matter. We lost a few close friends (Google "Robert Curtis" first Soldier killed in Northern Ireland 1971), as things where quite bad in February 1971 through out the province. I decided that when and if, I went back to BAOR I would get back into Amateur Radio. Whilst there I meet my first wife and by May 71 I was married at the registry office Alton Hants England. On my return to Celle, I found I was posted to RAF Wildenrath with 21 Signal Regt (AS) Air Support, on support to the RAF Harrier force for BAOR. This posting at short notice was due to the Royal Signals Trade reorganisation at that time. But within weeks I was moved to help form a new troop. This was to be J Troop 21 Signal Regt (AS) at RAF Gutersloh. To provide ground and ground to air communications support for the RAF Wessex Helicopter (18) Squadron. Here I was to stay for five years and what a fantastic five years it was. And it had a club Station DA2YV run by John Easthugh DA2YU (G3YUN) <SK>. A Cpl in the RAF who finished his time at Gutersloh and emigrated to VK to become VK5GY (SK 2001). A great friend of the late Tom Hicks DJ0BU <SK>. Who also became a great friend to me and my then wife, over the coming years until he went SK. So Amateur radio was back on the agenda. At first I spent free time on the receiver as an SWL. Whilst serving at RAF Gutersloh I obtained the call sign DA2WN. And through the hobby met loads of locals and learnt to speak German, especially with DK3QI <SK 1999> an ex pole who had walked out of the new East Germany at the end of WWII, with his wife to be. 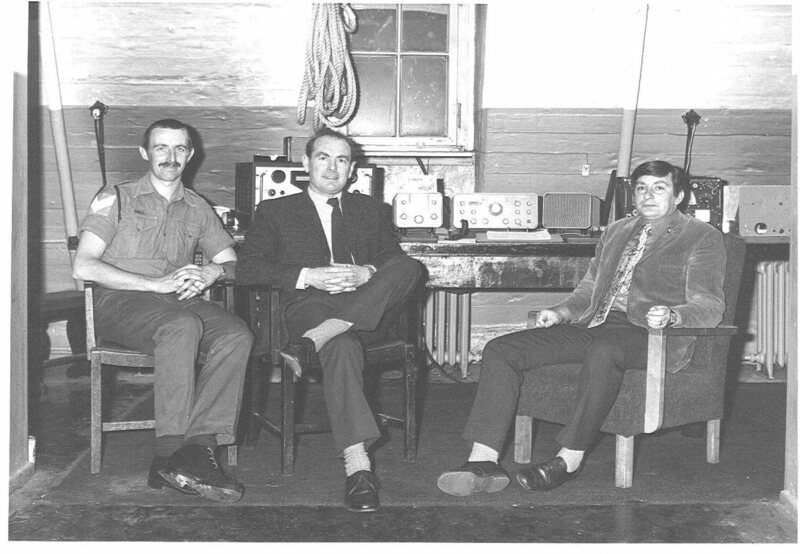 Also in 1975 I visited the DARC HQ (West German Amateur Radio head quarters). And was asked to set up the DA QSL Bureaux section. Affiliated to the DARC. This to help the back log of unclaimed DA cards. Due to Servicemen form all Nato countries not always becoming members of there local DARC club. I ran this till I left Gutersloh in May in 1977. I handed the service over to an American amateur, who's name and call I have forgotten. Whilst in Germany I held the club calls DA2YV @ RAF Gutersloh (1976-77) and DA2CL @ the 14 Signal Regt (EW) (1979-82). The UK call sign G4EMX was obtained in 1977 when due posting back to the UK. Whilst in J Troop I had many roles from a MAOT Team leader for C flight of 18 Sqn, to C Flight (within 18 Squadron Wessex) Royal Signals Radio Detachment, ACIO Rear link for 18 Sqn at Corps HQ, Rebroadcast Commander, and Troop Storeman. The interest in Amateur Radio was a solid foundation to be a military communicator. Not only as one seemed to stick at it where others seemed to loose interest. But the technical knowledge helped to get the C11's and C42's fixed (sometimes with out a technician being around!). My last two years had a part time job as a barman at the local RAF NAAFI (22 Club and the old NAAFI above and besides the main cook house before it burnt down) which was quite an insight. I arrived @ Gutersloh as a Signalman and left as a Cpl. 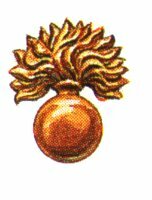 I returned to the UK for a short three-year spell at 8 Signal Regt (Training) May 1977. And joined Schemes Troop. Also I had the quickest route known to gaining an HGV III driving licence. This so that I could drive a Green Goddess Fire Engine in the Fire Strike of 1977. Shortly after the strike I was promoted to Sgt. Whilst at 8 Signal Regt I was honoured by the RSARS to be there Head Qtr Station Manager looking after G4RS (1978 - 79). Also whilst at 8 Signal Regt, I was able to get installed into the trade training of certain technical and operating trades (with the help of G3EKL <SK> & G3EJF <SK>). The subject "Electronics as a Hobby", this was a presentation on Amateur Radio. With questions and answers in the trade training school cinema. Followed by a visit to G4RS the HQ Station. Also being part of the RSARS Council I meet the likes of G3ONU <SK>, G3NVK and G3IBB <SK>. All who gave good advice on service in the Corp at that time. G3CIO the Catterick Garrison radio club was run as well from G4RS. And many friends where made on the two club nights held each week. I started off the local Raynet group with Brain G4HVA. And Ray G3EKL <SK>, who was also the national treasurer for RAEN for many years. I also toyed with the idea to get a local Repeater going on 2 Mtrs. Richmond Hill did not give enough coverage, but Sutton Bank near Thirsk did. But before we could get it up and running I was posted (below). The Harrogate lads took up the idea and GB7HG was born. In September 1979 saw me posted back to Germany and Celle again this time as Sgt. And to 14 Signal Regt (EW) Electronic Warfare, in a little hamlet called Shauen to the north of Celle. Unfortunately Shauen was famous for being the last stop on the then rail link to Belson during W.W.II. And some parts of the camp where still fenced off and out of bounds to all personnel. As we where so far out of town so to speak the Col asked that SNCOs looked at any activities to keep the lads out of mischief. So with the help of an ex pat living at Oldau near by to Celle. Eddie King DJ0SS (G4HWC), helped me form the first known Amateur Radio club within an active EW unit at that time. And so DJ0CL (Celle Loonies) was established. And with the help of G4RS (G3EKL Again) in the way of the Swan Cygnet and a multi mode 2 mtr rig (FDK200 I think), we where on the air. I was promoted to SSgt in early 1982. And took over the running of Radio Troop when the then SSGT was posted out to the Falklands. We where responsible for sending quite a few specialist's in that direction for the period of the conflict. I was then asked to head up a team of lads to do a KAPE (Keep The Army in the public Eye). We travelled back to the South West of the UK and did a six week tour around the west country. To schools, local shows and fetes, and to TA centres. We took over DF (Direction Finding), Jamming, and Rear Link Communications vehicle's (See 14 Sig Regt (EW) Picture in photos section). This was a very interesting trip with myself as SSGT team leader travelling forward each day to arrange accommodation and check venues and bring the team in the following day. I met a lot of ex service personnel and had a good taste of civilian life. This played on my mind that maybe the army was not all it was cracked out to be. A bit out of context seeing that I was there selling the benefits of the Army to get folk to join up! 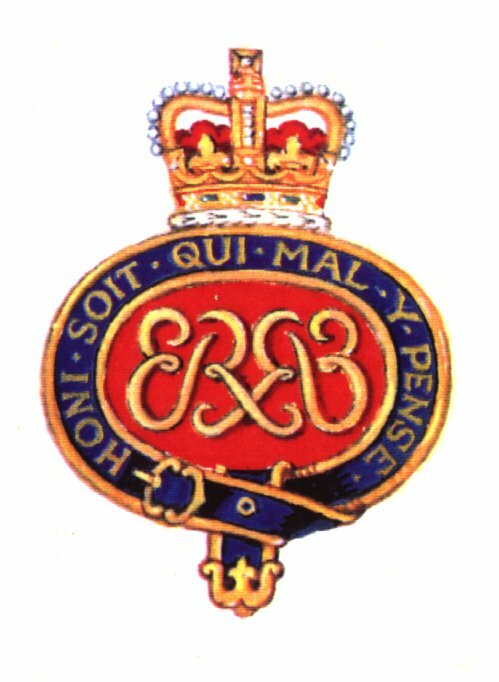 On my return to the Regiment in July 1982 I applied for my PVR. I then left the Army by PVR (Purchase by Voluntary Release) after the Falklands war in Dec 1982 as a SSGT (LSGC & GSM for NI). This was based on the advice of John G3OPW (who I meet at the old Comrades reunion at Catterick in 1982, pry to going on the KAPE), as to what I was or was not missing as a civilian. And what I had seen and discussed on the KAPE tour with retired Royal Signals NCO's and retired officers. At the time I believed I was doing the right thing. Maybe with hindsight I should have stayed for my 22. But after 15 years mans service and 2 years boys I needed a change of direction. And at that time the Army could not offer me that (I believed) SSgt or not. And with comments by G3ONU <SK> back in 1976 at an AGM. Along the lines of, "if your dont try something you will never know" I jumped ship so to speak. And the army had no modern HR department at the time to advice one any other way. So with the guidance of John Cook G3OPW (who I had met at the start of the KAPE tour), I first settled in Glenrothes Fife Scotland, working for a company called Solus Schall (later to be part of Oceanering Int) in NDT, and six months later moved to the Aberdeen head office for the UK, to work as a Radiographic Crawler Technician, within the same firm. Radio took a back seat again due to the working hours (and we all think it was hard work when we where serving). After a few years moved on to be the companies Logistics Manager (Purchasing, Telecom's, Car fleet and Base Health & Safety Manager). I did have two metres FM in the company car in 1983. And one of the first amateurs that called me in Aberdeen was GM4RGS (Ramsey) who I still talk to today. We set up home to the north of Aberdeen in the county of Grampian. First in the village of Rhynie then on to Strathdon. And the one and half hour journey into work was made much shorter with two meters radio being available in the car on the in ward and outward journey to Aberdeen. In 1987 we moved into Blackburn just on the City and Grampian (now Aberdeenshire) council boarders. And through the Aberdeen Amateur Radio Club and Brendan GM0CQV (plus Mike GM8FYJ). I took up an interest in AX25 Packet Radio. In 1989 I joined Grampian Police as a Special constable serving in the City of Aberdeen. Based at Bucksburn in B Division. Later Transferring to C division and working at various police boxes (offices), in the city. They included Nigg, FHQ, Victoria Road, Fonthill, Oscar Road, and Peterculter. I have done two postings to Peterculter and where I worked as a neighbourhood officer before retirement. Though the various postings in the Army, ones eyes are opened as to how other nations live. Working in the police allows one to use ones military training from a discipline point of view and common sense. But police work puts you in contact with aspects of life that normal members of the public would never see, And that can be both humbling and awakening. But by the same aspect allows one to be of use to the wider community. In July 2009 I had served 20 years in the police (longer then my total army service). 1989 also saw myself and my first wife split up. Followed by myself moving into the City Centre of Aberdeen and meeting my future second wife the same year. Again Radio fell very sharply to one side. Around 1991 I started to get a renewed interest in Radio and set up the GB7EMX AMTOR mailbox in Cove to the south of the City of Aberdeen. The only active AMTOR BBS in GM (Scotland) at that time. This ran non stop until Oct 1995. Forwarding personnel type radio email on HF radio from all over the world and into the GM 2 mtr VHF Packet network. This venture was only achieved with the great support from Peter (G3PLX), who provided software. Stan (G3DSS <SK>), and as the box matured Jim (G3WGM). Also Derek again (G3RKN <SK>) who supplied Amstrad 1512 bits to keep the PCs going. A very early internet ! In 1992 I left Solus to Join Wood Group Fire Protection as a dept manager in Onshore Fire detection for Sales, Service and Installation. In 1995 I joined Thorn Security, again dealing with Onshore fire detection sales & installation, and Six months later Transferred to the International Division to deal with Marine & Offshore fire detection sales and systems in Aberdeen, Norway & Internationally. Whilst based in Aberdeen for the North Sea. My head office was in Sunbury on Thames and later Slough. Therefore for the first time I started to work from home. Due to the split of myself and my second wife in 1995. And left with a three and half year old girl to bring up on my own, I went 100% QRT on the radio hobby side again in Dec 1995. And only through the support of G3EKL <SK> and others did I come back into the hobby in early 1998. More for therapy than anything else and the bug had fully bitten once again. In Oct 200I Thorn Security Marine & Offshore was renamed Tyco Marine services. In July 2002 I decided to seek a new challenge and resigned to take up a position with ICS Triplex as there Regional Manager for Scotland of the Customer Care division. Was this G3ONU's voice again saying "if you don't have a go you wont know?". This meant after seven years working from home, that I would have to move into an office on the outskirts of the City of Aberdeen in the village of Cults. This transition was a bit of a culture shock, but an enjoyable one. ICS Triplex then was a company making and supporting TMR critical safety process control equipment for the Offshore, Petrochemical sectors here in Scotland. As well as supplying many other organisations through out Europe and the World. That have a requirement for critical safety control systems. Including the NASA Shuttle control Centre in the USA. In 2007 Rockwell Automation acquired the ICS Triplex group. In 2006 I was approached by Honeywell and joined them in January 2007 as an Account Manager. However the description on the box did not meet my expectations . I was fortunate in being asked to return to ICS Triplex - Rockwell Automation as a Business Development Manager. And rejoined ICS Triplex at the start of 2008. Radio as a Hobby had again taken a back seat to some degree. In late 2003 my daughter took a strong interest in horse riding and early 2004 saw her attending one of the local riding schools ever moment of her free time. Be that after school or weekends. This was starting to prove expensive on the pocket in riding lessons. So (maybe tempered by loosing my only son in Nov 1999 - see RIP Jason), for her 12th Birthday in April 2004 I gave her a highland pony for her birthday (Piggy). This was eventually sold on and a 15.2 hand Cross Cormaragh was purchased (this at the cost of disposing of most of my HF and VHF radio equipment). Eventually at 17. Rebecca decided that she would peruse other interests. I still have the Cross Cormara. In Dec 2008 I decided to get back into HF radio, and purchased an FT897. Which gave me a renewed interest in HF and IOTA island chasing. My mother died in February 2009 and my father in 2010 could not cope (despite having carers), and he moved into a home in January 2011. My sister puts in a lot of work visiting from her home in Billingshurst. And I am lucky that Paul (G0DBS) and his wife Liz have been very helpful with local support. Paul lives a few doors along from my father's old house in Alton. And Liz takes time to visit my father in his care home in Bentley across the border in Sussex. Rebecca left school in her 5th term and started a Modern Apprentice in Child Nursery Care (SVQ2 and 3). That had been a culture shock for her. But she obtained SVQ2 in record time. This lasted for about eighteen months (disappointment that her employer was not willing to put the apprentices through there SVQ3 because of cost allegedly). So Rebecca realised it was a bit like slave labour for little financial reward. However Rebecca, is still in gainful employment in the retail trade and returned part time to Tech Collage in Sep 2012. In March 2010 my Army pension matured and a new HF base station was purchased FT950, Ameritron AL-811H Amplifier, AT2k High Power ATU. The FT897 being moved to portable station use. This followed by the realisation that at 60 I was getting no younger so decided after over twenty years service to the City of Aberdeen, I decided to retire from Grampian Police in July 2010 after 21 years service. Then in August 2010 a Company called Invensys Came calling Invensys, in the Invensys Operations Management division and in Oct 2010, I was persuaded to move over to join them as there Oil & Gas Account Manger in Aberdeen. So saw I hope my final civilian company. Joining Invensys in Dec 2010, where I am still working at the time of updating this Bio Update. More sad news to add my Father passed away on the 7th November 2012 aged 89. Ironically this is the same date and month my Son Jason died in 1999 aged 24. My Daughter Rebecca was admitted to ARI on the 27th August 2013, after three weeks of trying to get the medical profession to agree she was really ill. On admittance she was diagnosed with Renal Failure. Rebecca passed away on the 11th December 2013. Well here we are in 2019, and time to update this page. After my daughter passed away I found life very difficult and was away from work for three months, Invensys my then company was very good and I slowly returned to work due to a super MD Mike Teller. By 2015 I was working three days a week and eventually agreed to have help with my menetal well being as I was finding the whole aspect of having lost both siblings and my parents plus Military service and Police all to much. With the help of my GP and the NHS I was able to return to full time employment in March 2017. During 2014 - I purchased an FTdx3000 to replace the FT950 - but the 950 for data. As therapy and as we ( i.e. Karen Ledford my pal) had decided to keep Rebecca's Horse Meesha - we found land and as part of my self therapy through 2014/15/16 built stables and took on a rescue horse from the SSPCA, called Brogan. As this is update now in March 2019 we still have both horse in retirement and a mature stables as a hobby not for profit. However over this period Invensys was acquired by Schneider Electric and Invensys was broken up and my side of the Business became Process Automation. Slowly the management structure changed as it does in these situations and by January 2017 things where quite different. So in Jan 2018 things came to a head and I left the business by mutual agreement under an NDA on the 28th February 2018. This followed by six weeks rest before starting part time with Process Safety Solutions, as a Client Liaison, sort of sales Business development. Shortly after that Eldor UK approached me and I now work for both business part time amounting to about four days/there and half days a week. In Mid 2018 my Pal (Karen Ledford), suggested I need to fresh start and move from my house where I had been since Rebecca was three and half, she had found a new Retirement Village in Peterculter where she lives and five minutes from our stables rather then the twenty five minute drive each way from the then present house. I of course like a typical male said I was not moving but deep down I think having still not touched Rebecca's room since her passing, maybe it was a good idea. But before I said I was Karen advised me that she had placed a deposit on a new Retirement Lodge and I was moving in the Oct of that year 2018. So here we are new start new QTHR - see QRZ.com and my call for pictures.